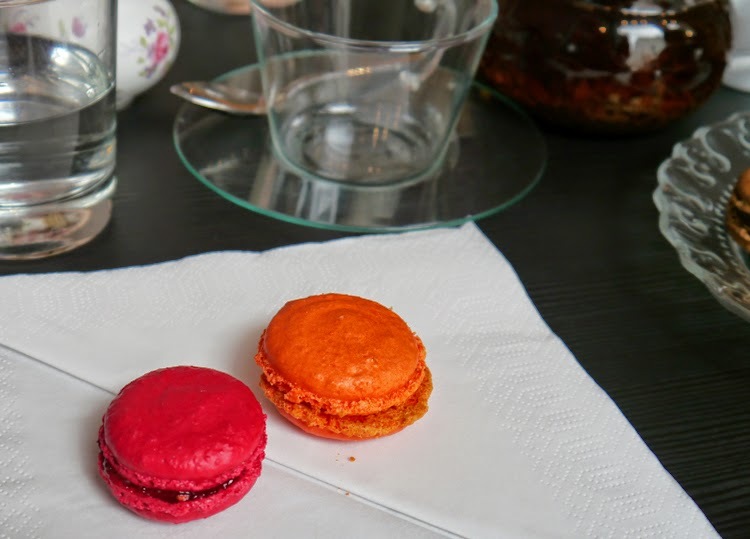 The day after the Etsy Craft party, we met up with Vicky from Vivid Please over cake and coffee and we decided to check out Mademoiselle Macaron's new boutique just off Lothian Road in Edinburgh. The premise is simple- a little of Paris in Scotland. 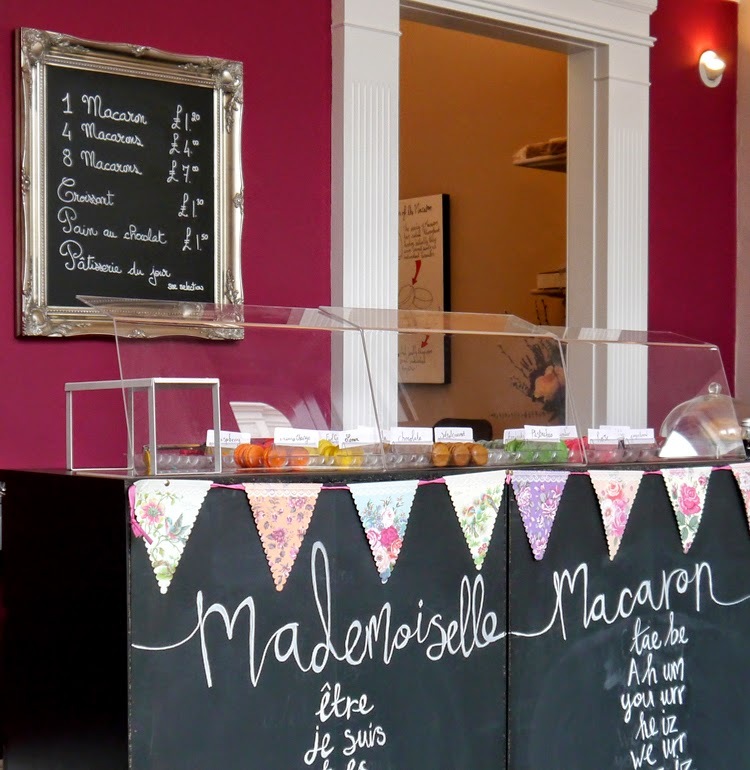 It's such a sweet, stylish little shop with every flavour of macaron your heart could desire, as well as some pretty fancy cream eclairs. You can also check out the lovely designs of the dressmaker in residence, La Robe a Caro. There is a mini Eiffel Tower and plush chaise longues to recline on while you daintily fill yourself with treats. 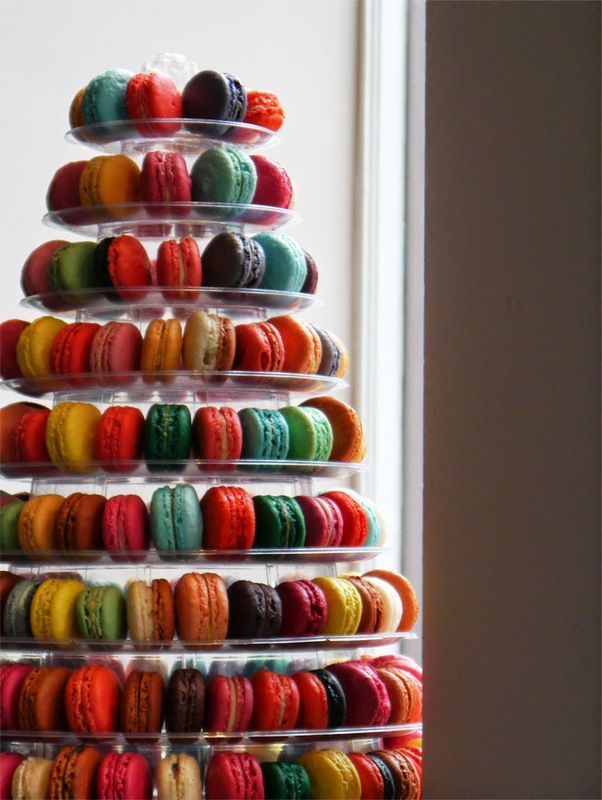 You can also take home a selection of treats or an amazing macaron tower! As the Scottish weather did its favourite trick of turning from sweltering heat to monsoon rain in a matter of hours, we hid inside drinking gallons of tea- and sampling all the flavours- to keep us going. We tried pistachio, chocolate, raspberry, gingerbread, earl grey, salted caramel, and the legendary chocolate and passion fruit. It is a dream combination! 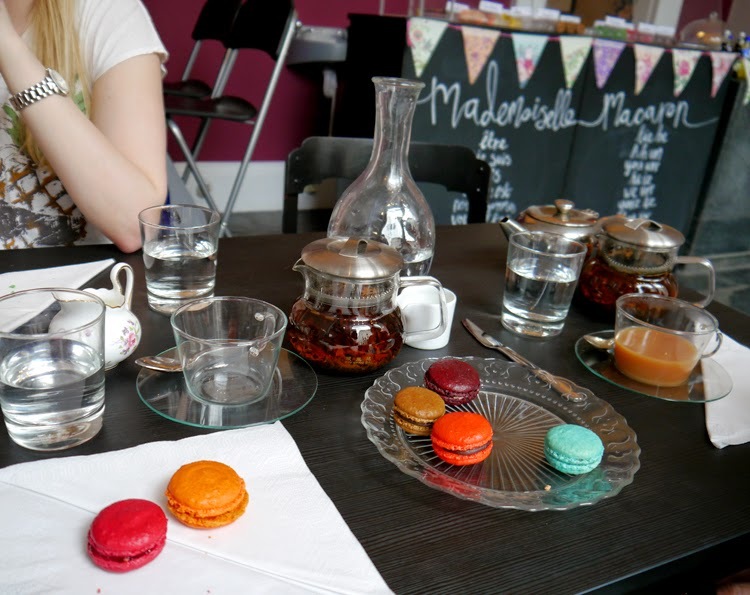 Mademoiselle Macaron is a delight herself- a real pro at patisserie and also a dab hand at Tinder app, giving us plenty of swiping tips during our afternoon of gossip! This shop is a gem of a find and you will definitely find us there again soon! ooh, the tower! look at all those colours!